The “Feel the Heritage” festival, Arlington’s annual celebration of African American history and culture, returns to Nauck this weekend. The 27th edition of the community event is set to be held Saturday (Feb. 23) at the Charles Drew Community Center (3500 23rd Street S.). The festival will run from 1-6 p.m. The event is set to feature a full lineup of live entertainment, “from traditional African dancing and drumming to soul and funk,” according the event’s website. Local vendors will also be offering everything from jewelry to homemade hot sauce. 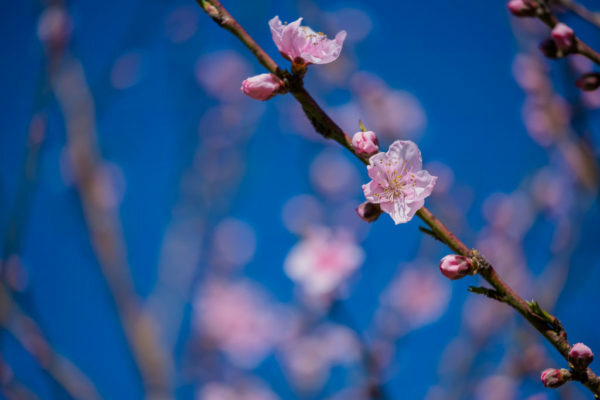 The festival will include a variety of free arts and crafts activities, plus face painting, balloon art and a chance to meet critters from the Gulf Branch and Long Branch Nature Centers. And be sure to come hungry — the event will also feature “Foods Around the World” Plinko, giving participants a chance to taste foods from around the globe at random, as well as a “soul food cook-off competition” featuring dishes from seafood gumbo to peach pie. Limited on-site parking will be available, with overflow parking at the Macedonia Baptist Church (3412 22nd Street S.). The Jumping Joeys children’s gym looks set to re-open in Market Common Clarendon, after closing in Virginia Square in 2017. Jumping Joeys applied for a building permit at 2800 Clarendon Blvd late last year, according to Arlington Economic Development records. It’s not immediately clear where the new gym would be located. 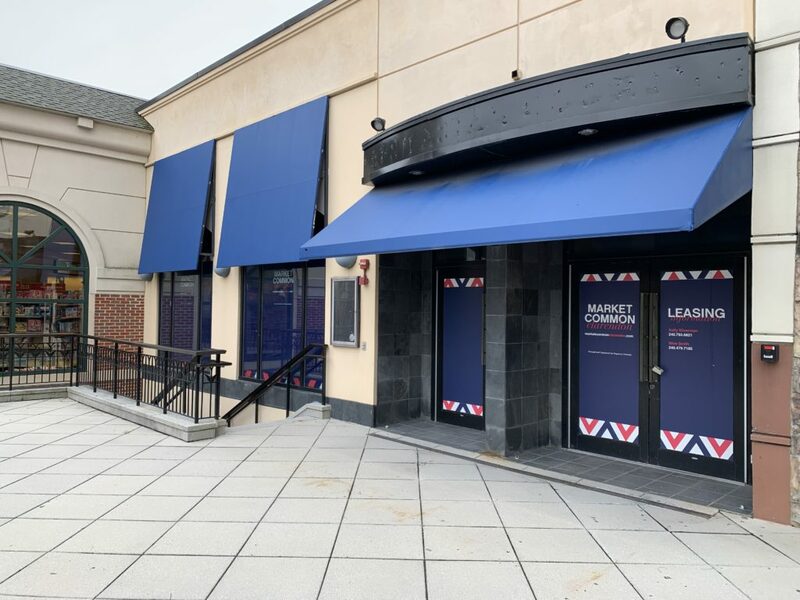 But there’s currently only one vacant space on the second floor of the building at 2800 Clarendon Blvd, not far from the Pottery Barn store. Representatives for the gym, which offers all manner of bounce-house-style activities for kids, didn’t respond to a request for comment on their plans. Jumping Joeys currently operates another location at 402 W. Broad Street in Falls Church, and once had a space in an office park across from (the newly renamed) Washington-Liberty High School as well. But that location shut down in November 2017, as the county eyes new uses for its much-discussed “Buck property,” where the gym was located. School officials are still studying the prospect of someday building a new school on the site, or perhaps new office space for staff. Deliberations on the matter very much remain ongoing. As for Market Common itself, the development has seen a whole host of changes recently, and will eventually be part of a wider redevelopment of the block. Democrat Matt de Ferranti wants to end child hunger in Arlington if he wins a spot on the County Board next week, and he says he can achieve that goal in the next four years. In debates, campaign mailers, and his official platform, de Ferranti has pledged to ensure that no child in the county goes hungry by the time his first term on the Board would be up in 2022. It’s a target that some observers think Arlington can meet, but gives others pause. And, crucially, it’s a key area of difference between de Ferranti and the man he’s hoping to unseat: independent John Vihstadt, the first non-Democrat to sit on the Board since 1999. Both of the contenders for the lone Board seat on the ballot this fall want to reduce hunger in the county, of course. 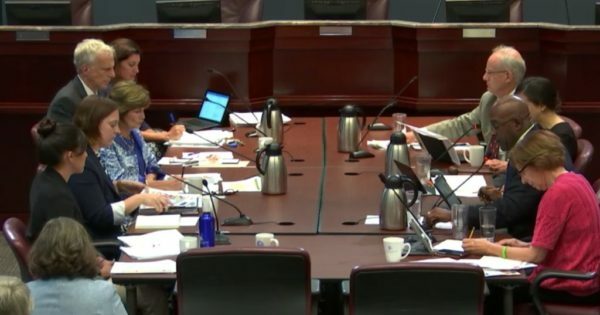 Yet the pair differs on how to achieve that goal, and how much the Board should prioritize it in the first place, providing a clear contrast between candidates who otherwise broadly agree on many of the pressing issues facing the county. 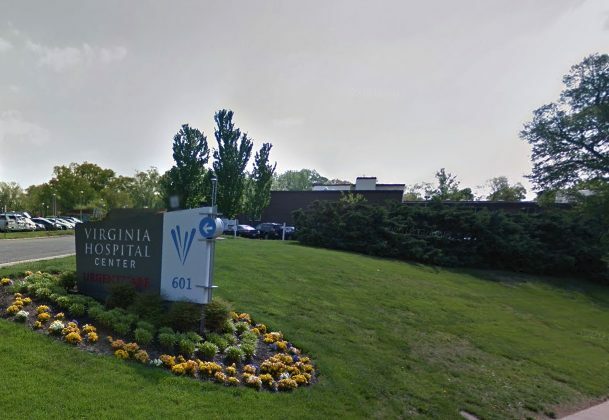 Vihstadt and de Ferranti agree that the county could use more data on hunger and food insecurity in Arlington, and say they’d support a new study of the matter. The Arlington Food Assistance Center (AFAC) teamed up with Virginia Tech to release a paper on the matter back in 2012, and both Board contenders are eager for an update to that document. Yet the incumbent admits to being a bit puzzled that de Ferranti is bringing up the issue so frequently in the first place, and would much rather wait for more information before acting. De Ferranti says he’s so focused on child hunger, specifically, because research links food insecurity to stunted development among children, and suggests that kids learn less if they come to school hungry. But he’s also relying on data from AFAC, the most prominent Arlington nonprofit focusing on hunger, claiming the numbers demand urgent attention to child hunger. Charlie Meng, the executive director of AFAC, says de Ferranti is right to do so, and notes that he’s raised the issue with the County Board. In data Meng provided to ARLnow, AFAC has indeed seen a steady increase in the number of people requesting meals through the center, and an increase in the number of children served, specifically. The numbers show that, in fiscal year 2014, AFAC served meals to 3,034 children. That number crept slowly upward over the years, and AFAC served 4,349 children in fiscal year 2018, an increase of about 43.3 percent over those four years. Meng believes that de Ferranti is absolutely correct that the county could effectively cut the number of hungry kids to zero within the next few years, “especially if the coordination and the desire to is there. On that front, Meng thinks a good place to start would be sending AFAC more money each year. 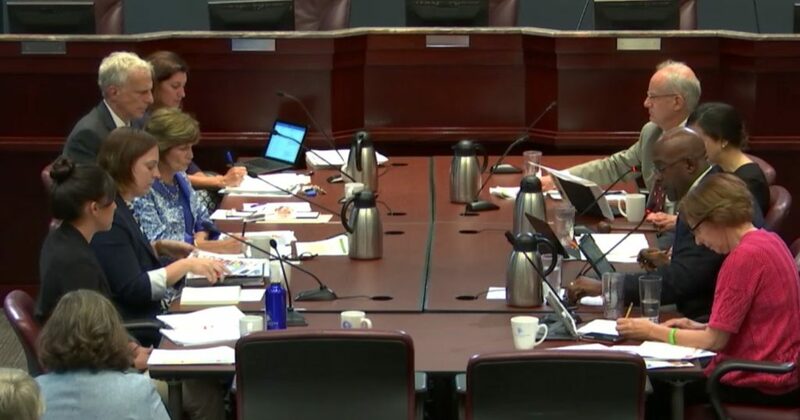 The county currently allocates about $478,000 annually to help the nonprofit stay afloat, but Meng says AFAC largely depends on private donors to afford its roughly $7.5 million yearly operating budget. For the last two years, the county tacked on an extra $50,000 in one-time funds to send to the center, but the Board declined to do so this year amid a tight budget crunch. Meng says he hasn’t needed to cut back on any of his programs after losing out on that money, but he has had to work a bit harder to fundraise to make up the difference. He believes that restoring that money, and even sending AFAC a bit more, would make a huge difference in helping the nonprofit identify hungry kids and reach them. Vihstadt is sympathetic to Meng’s case, but points out that AFAC already receives more county financial support than most nonprofits in Arlington. Similarly, he said the Board decided not to tack on any more funding in this year’s budget because members trusted in Meng’s fundraising prowess. Others working on the issue of child hunger across the state wonder if a focus on services in county schools might be the surer way for Arlington to reach de Ferranti’s goal. Claire Mansfield, the director of No Kid Hungry Virginia, says her organization largely focuses on making sure schools offer “healthy, nutritious” meals for breakfast and lunch, as that’s generally the easiest way to reach kids who might not know where their next meal is coming from at home. She’s particularly interested in making sure that schools not only serve a healthy breakfast, but do so as part of the regular school day, which can “remove the stigma” around students looking for a free or reduced price meal. 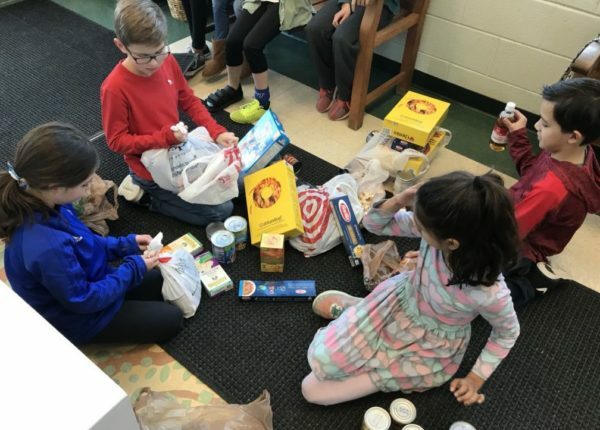 Mansfield points out that some, but not all of Arlington’s schools offer breakfast in the classroom — Arlington Public Schools spokesman Frank Bellavia says Randolph Elementary, Oakridge and Hoffman-Boston all do so, though Randolph only offers it to preschoolers and kindergarteners. Mansfield says expanding such programs can have a huge impact, and that Oakridge has already seen a difference since starting breakfast in the classroom. According to her data, only 24 percent of students at the school eligible for free and reduced lunch ate breakfast in the 2014-15 school year; by last year, that number was up to 85 percent. She added that schools can be key destinations for hungry kids looking to receive meals over the summer. Bellavia said the school system set up nine such “summer meal sites” this year, and Mansfield believes such options are a key way to fill in “gaps” in reaching families in need. However, she’s a bit more hesitant than Meng to declare that simply following her prescriptions could definitively end child hunger in the county. Meng says he’s more than willing to do more work with county schools — in fact, one of his priorities is to expand AFAC’s “summer backpack program,” partnering with schools to reach hungry kids when class isn’t in session. But to do so, he needs more money, and he says that’s where the County Board’s leadership matters on this question. The fifth annual Arlington Youth Triathlon will kick off next Sunday, June 10, at the Washington-Lee High School pool. The public event hosted by the Arlington Triathlon Club will feature swimming, running and biking among children ages 7-15 and will start at 7:30 a.m. 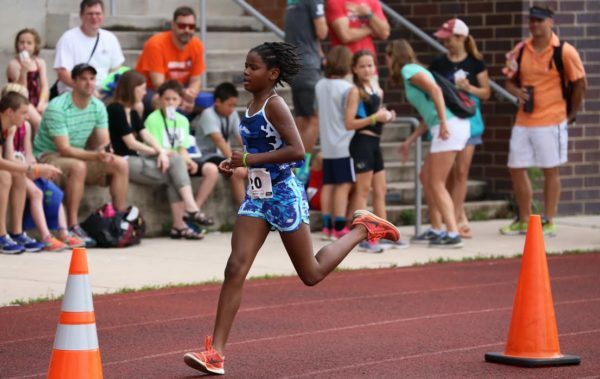 The Arlington Youth Triathlon is a part of the USA Triathlon Mideast Region Youth Triathlon Series, where young triathletes from Ohio to Tennessee will come to Arlington to participate. The triathlon will include a pool swim, a bike ride on closed streets around the school and a track finish. Each event features short distances to include kids of all abilities. This year’s triathlon will be held in honor of Anne Viviani, an Arlington resident who died April 9 in a car crash striking a deer on I-85 in South Carolina. Viviani, 68, was a world champion triathlete and coach. Registration for the Arlington Youth Triathlon is open until June 9. It costs $75 to register before May 15, and $85 afterward. A proposed child care center in Courthouse is likely to be approved by the County Board at this weekend’s meeting, but it is not without some controversy. Residents of the Woodbury Heights Condominiums have raised concerns about the proximity of the proposed Bright Horizons child care center to Arlington’s Homeless Services Center, according to the county staff report. Several tenants of the Courthouse condominium building publicly opposed the homeless shelter prior to its construction due to safety and property value concerns. The 24-hour homeless shelter is at 2020 14th Street N., and the child care facility would be at 2000 14th Street N. That’s a distance of less than 330 feet, according to a Google Maps estimate. 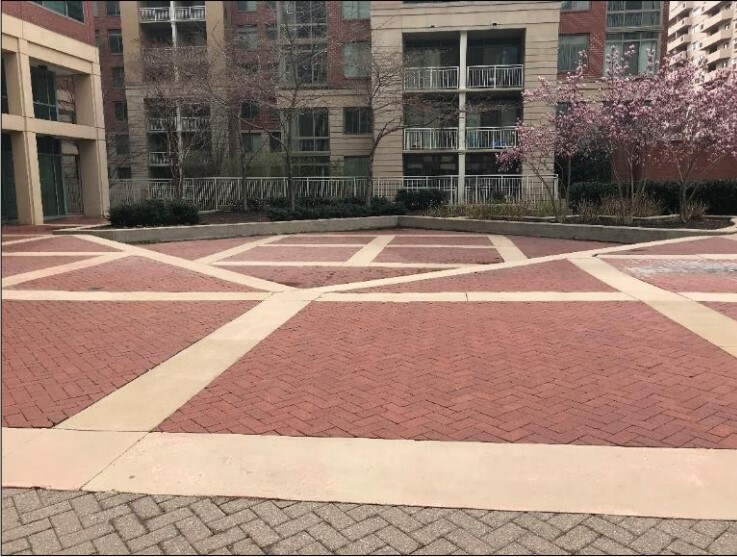 Pending approval, the child care center would also be near Ragtime restaurant, as well as Arlington County Police headquarters, the county jail and the county courthouse. The center is slated to have a maximum permitted enrollment of 136 children, but the number could be set lower by Arlington’s Dept. of Human Services if deemed necessary. The report added that the site has adequate parking spaces and public transportation access. The child care center would convert 10,868 square feet of office space into child care use. 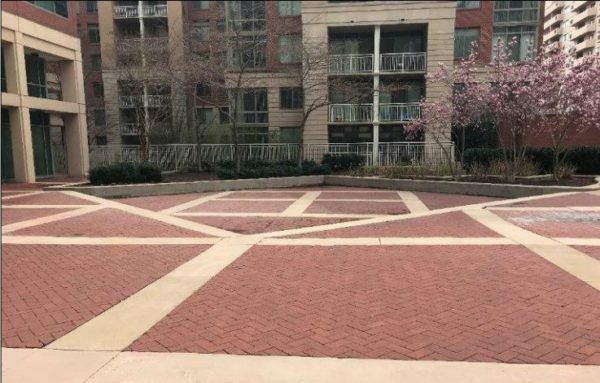 An outdoor plaza would be converted into a 4,645 square foot outdoor play space enclosed by a five foot fence. The Radnor/Ft. Myer Heights Civic Association did not object to the child care center and several nearby apartment buildings did not respond to county staff’s notification, according to county documents. The child care center would help with the county’s lack of available child care services. The shortage of child care options — particularly affordable options — relative to demand prompted the launch of the county’s Child Care Initiative in December. Bright Horizons has agreed to operate from Monday-Friday from 6:30 a.m.-7 p.m. 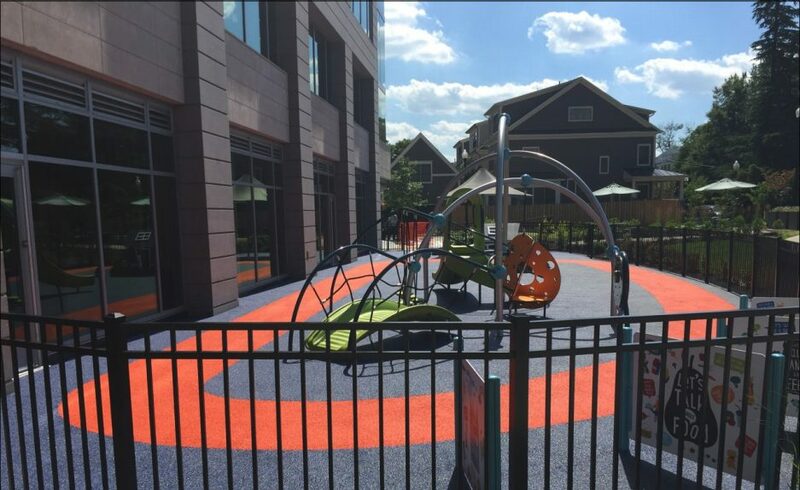 The child care chain has three locations in Arlington already — in Rosslyn, Ballston, and Crystal City — and has dozens across the country. Attempts to reach a current representative of the Woodbury Heights Condominium Association were unsuccessful. 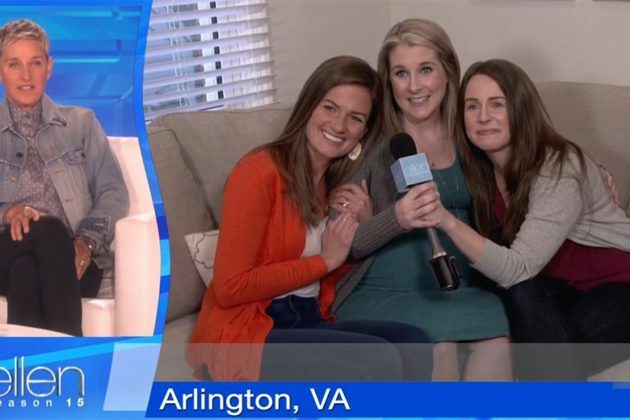 Ellen DeGeneres surprised two Arlingtonians via live shot today (March 13) after one wrote to the show asking to share their surrogacy story. After Katelin Buchanan suffered from five miscarriages, her best friend Erica Huston offered to be a surrogate for Buchanan and her husband. She’s now pregnant with the couple’s twins. Ellen DeGeneres Show correspondent Jeannie Klisiewicz met with the best friends and surprised them with a live streamed meeting with DeGeneres. DeGeneres gifted Buchanan and Huston tickets to a live taping of the daytime talk show, and added that Buchanan would receive the prizes from the upcoming Mother’s Day show giveaway. 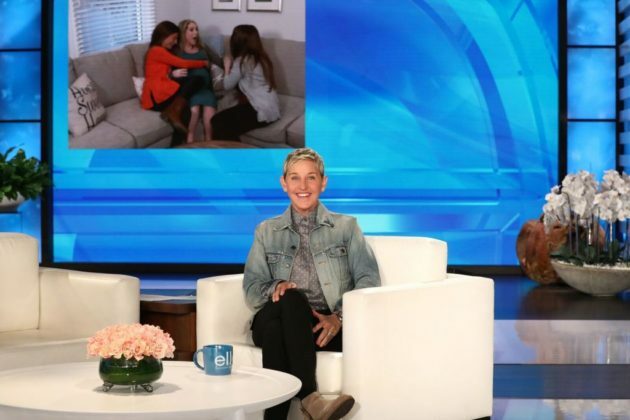 Buchanan spoke of her longtime friendship with Huston and how watching The Ellen Degeneres Show helped her cope with her infertility struggles. Feeling helpless watching her best friend go through miscarriage after miscarriage, Huston added on the program that she jumped at the opportunity to surrogate for Buchanan. 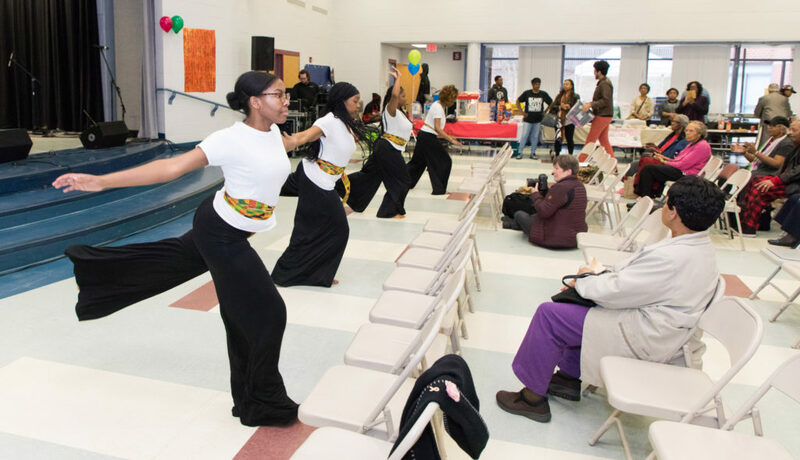 The annual Feel The Heritage Festival, a black history month tradition now in its 26th year, is scheduled for Saturday, February 24. The county-sponsored festival, held at the Charles Drew Community Center in Nauck, will host its first-ever soul food cook-off, with prizes for category winners. That’s in addition to dozens of vendors, music and dance acts, and fun for the kids. Emceed by former WPGC 95.5 FM radio host Dr. Justine Love, a range of dance and musical groups will perform throughout the day, including a Joy of Motion dance center youth hip-hop group, and Elijah Jamal Balbed’s Chuck Brown-inspired The Jogo Project. 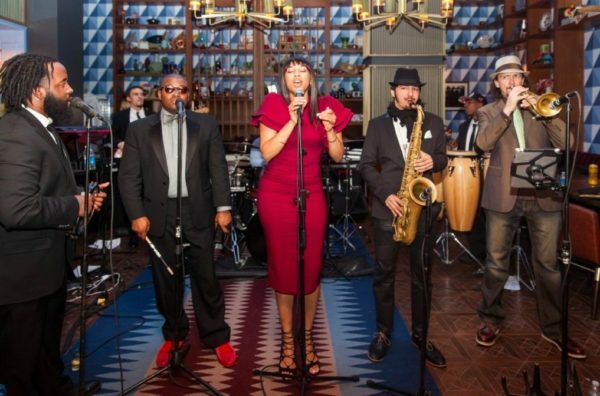 Motown, hip-hop, gospel, and traditional African performers will also take the stage. Rocklands Barbeque and Grilling Company’s food truck will be parked outside of the community center, and the Nauck Youth Enterprise will sell hot dogs, half smokes, and more. There will be plenty for kids to do, from creating a traditional African art inspired animal mask to face painting, balloon art, and oversize games of checkers and Connect Four. Colgate, the toothpaste company, will also be on-site from 2-6 p.m. to conduct free dental screenings and treatment referral for children up to 12 years old.